Acadia National Park in Maine is gorgeous at night! If you can brave the cold (and snow that the park is currently getting), winter is a great time to visit the park. From scenic winter drives and hiking to cross-country skiing and snowshoeing, there is something for everyone. 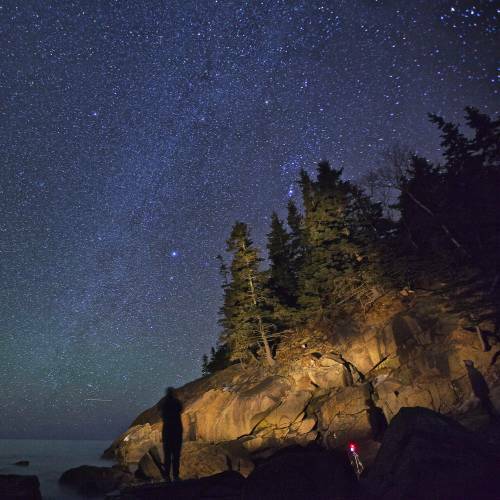 Photo of the stars over Acadia from late last week by Connor McNulty.